The water firm is also claiming a $38.9m deposit placed into escrow. Embattled water firm Hyflux has filed a writ of summons in the Singapore High Court against what could have been its white knight investor, SM Investments (SMI), for repudiation of its restructuring agreement and claim the $38.9m deposit placed into escrow, according to a company statement. Hyflux previously asserted its right to lay claim to the $38.9m deposit, which was placed into escrow shortly after the execution of the restructuring deal, in the event that SMI “wrongfully terminates” the pact. “The Company will update further as and when there are any further material developments concerning this matter,” Hyflux said in a statement, adding that it appointed nTan Corporate Advisory Pte Ltd as an additional advisor in its reorganisation. The move comes weeks after back-to-back refutations from both camps which culminated in Hyflux announcing that SMI has terminated its planned investment and added that it has no confidence that SMI is prepared to complete the deal even if precedent conditions for the restructuring are fulfilled. 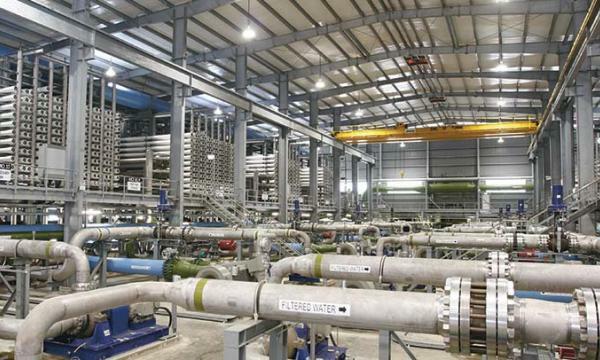 The debt-ridden water treatment firm is struggling to stay afloat as it tries to dispose of loss-making Tuaspring desalination plant which has been hit hard by depressed electricity prices in Singapore. In its financial statement ending September 30, 2018, the company reported a $916m impairment loss due to the assessment of the carrying value of Tuaspring and other projects to book a net loss of $1.1b. In October, the firm managed to strike a rescue deal with SMI which pledged to invest $530m in exchange for a 60% stake in Hyflux. However, trouble began brewing in the partnership after SMI said that it could abandon the deal after the Public Utilities Board (PUB) issued a default notice for Tuaspring which has failed to meet its end of a deal that required to deliver up to 70 million gallons of desalinated water per day to PUB from 2013-2038.